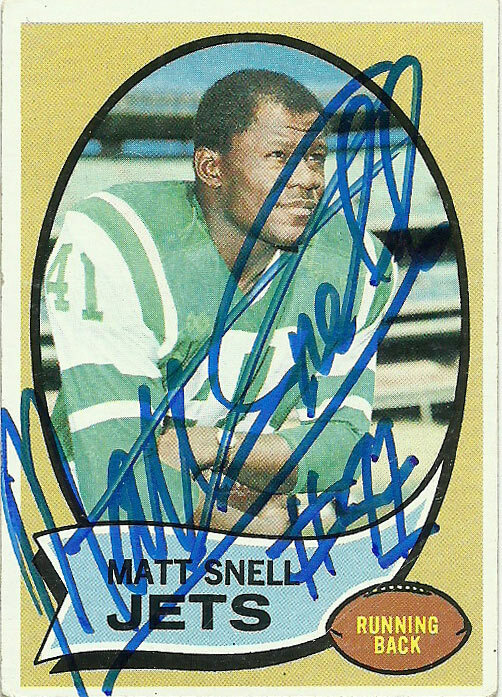 Matt Snell played for the New York Jets from 1964 to 1972 during the wildcatting days of the AFL NFL rivalry, when the leagues used to poach each other’s talent. Matt was drafted out of Ohio State where he had a prestigious career playing fullback, halfback, and defensive end. The quandary was, who to play for, as both the New York Jets (AFL) and the New York Giants (NFL) had selected Matt. Matt in the end was offered substantially more to play fullback for the Jets than the Giants so he joined the AFL, where he literally ran away with Rookie of the Year Honors in the young league and captured a Pro Bowl berth. In 14 contests he’d rush for 948 yards and 5 TDs on 215 carries. He’d also be a threat out of the backfield catching 56 passes for 393 yards and a TD, and lead the league in touches that year with a combined 278. Snell had equally impressive campaigns in 1965 (763 yards rushing, 1027 yards from scrimmage) and 1966 (644 yards rushing, 48 receptions, 990 yards from scrimmage, 8 total touchdowns), earning a Pro Bowl nomination in the latter. In 1967, Matt played in only 7 games due to a knee injury, but he quickly returned to form in 1968 with 747 yards on the ground and a career high 6 TDs rushing. 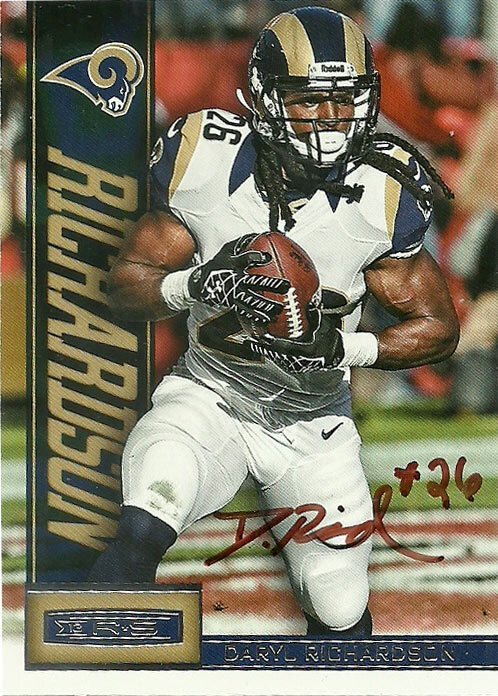 He’d have another exemplary season in 69 with 695 yards rushing as well, earning both Pro Bowl and All-AFL Honors. 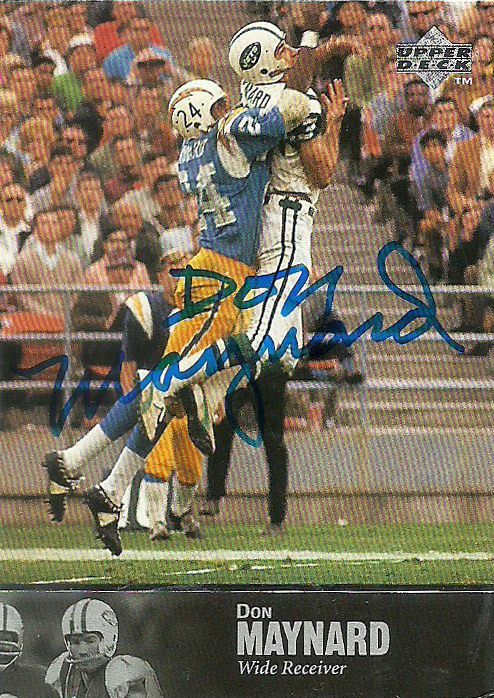 His crowning moment came in the final game before the AFL-NFL merger-Super Bowl III. After Joe Namath made his ‘guarantee’, the Jets had to figure out a way to come through on it against the vaunted Baltimore Colts. 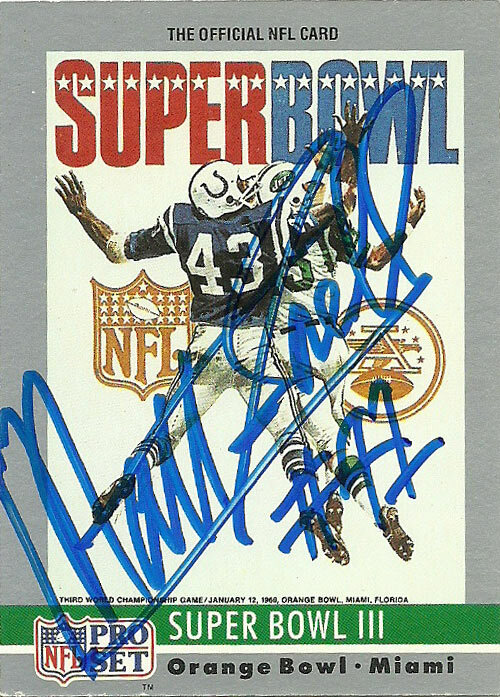 Snell ran for 121 yards on 30 carries, and the Jets only TD- good enough to help the Jets win the Super Bowl 16-7. Despite Snell’s record setting performance the MVP honor would be bestowed upon Namath. Matt played for the Jets for 3 more injury riddled seasons, retiring after the 1972 season. Since his playing days, Snell shrewdly invested his money in different ventures. He has been named into the Jets’ Ring of Honor and Ohio State All-Century Team. 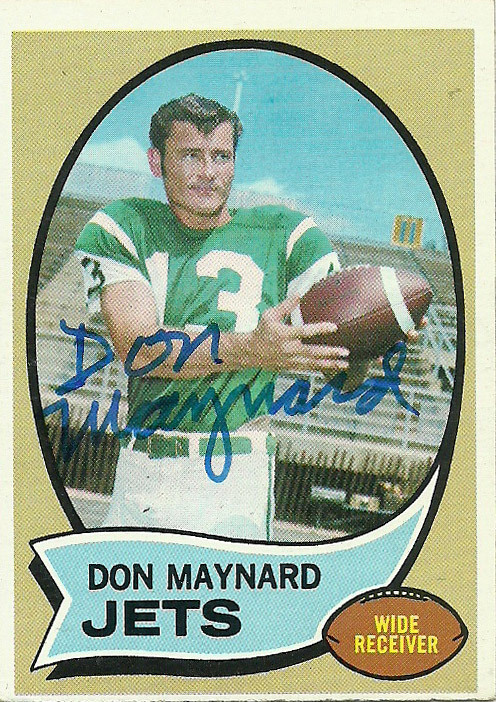 I almost went for Don Maynard on this Super Bowl III card strictly because he’s on the image, but then I remembered how Snell didn’t get the MVP and would make a better selection for the card. I really like Snell’s Topps 1970 card. It is a bit funny because you can see his watch clearly in the snapshot. Matt is great to the TTM community and responded in no time flat to my request.